The three books together have over 1,000 reviews that average 4.5 stars! Patricia Sands lives in Toronto, Canada, when she isn't somewhere else. An admitted travel fanatic, she can pack a bag in a flash and be ready to go anywhere ... particularly the south of France. The Promise of Provence became Book #1 in the Love In Provence series. Promises To Keep ~ Book #2 was released in Summer 2014. I Promise You This ~ Book #3 was released in May 17, 2016. 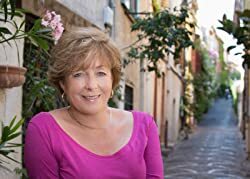 The series explores a mid-life coming of age and allows readers to lose themselves in the beauty of the south of France without leaving home. 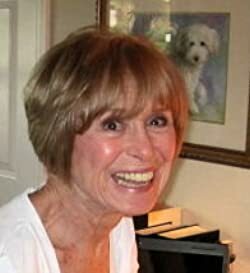 Patricia was invited to join the Lake Union imprint (Women's Fiction) of Amazon Publishing in January 2015. 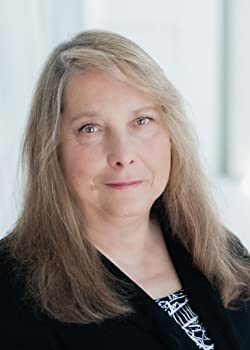 Her fifth novel, Drawing Lessons, also set in France, was released on October 1, 2017. The first book in the Villa des Violettes mini-series, was published in December 2018. Her philosophy is that it's never too late to begin something new, to seize each day and be a possibilitarian! As the saying goes, just do it! Hearing from readers (both men and women, from ages 20 to 84) is her greatest reward. According to Book Viral, "Gray certainly knows how to spin a saga, more importantly she knows how to pitch the tone. The plots are compelling, the characters superb and the writing excellent. It's the kind of alchemy that, on the rare occasions it comes together is hard to replicate." Jacky writes edgy, character-driven tales packed with fun, drama and snarky wit, but above all, romance. Described as a pitch-perfect blend of drama and romance for fans of Ten Things I Hate About You and Glee, these young adult stories are snappy, eclectic and edgy. An enjoyable read which will appeal to anyone with a sense of humour and an ear for the ironic. Dealing with issues of self-image and peer abuse, this well-written, intriguing series shares many elements with Thirteen Reasons Why as the complex characters grapple with issues such as sexuality, bullying and misread signals. It gives a convincing depiction of mercurial teenage relationships and that dreadful sense of hope and fear combined around transforming friendships into relationships when you don't quite dare take the plunge in case your feelings aren't reciprocated. As a special gift, exclusive to AuthorsXP's lovely readers, Join Jacky's Newsletter and get free copies of the first two Bryant Rockwell books. You will hear about all of Jacky's deals and latest releases. Fans of Fried Green Tomatoes and Steel Magnolias will Love the Memory House Series! USA Today Bestselling and Award-winning novelist Bette Lee Crosby's books have been southern fiction, historical fiction, and women's fiction bestsellers. Midwest book review describes her books as "Well-crafted storytelling populated by memorable characters caught up in equally memorable circumstances." The Seattle Post Intelligencer says Crosby's writing is, "A quirky mix of Southern flair, serious thoughts about important things in life and madcap adventures." Read more: Fans of Fried Green Tomatoes and Steel Magnolias will Love the Memory House Series! 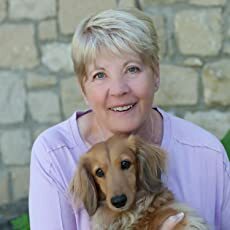 Judith Keim was born and raised in Elmira, New York, and now makes her home in Idaho with her husband and their long-haired dachshund, Winston, and other members of her family. Her readers are presently awaiting the 4th and final book in the Salty Key Inn series -FINDING FAMILY - which will be available for pre-order mid-August. Women's Adventure Chick Lit - Get Started With a Thrilling Secret Life for 99c! Start this Award-Winning Women's Fiction Series! Best-Selling Women's Fiction from the Hilarious Suzanne Kelman!